"Santa! Santa, can you hear me?!" Firefighter Elizabeth Smith crawls into the dark recesses of Station 3's basement on Williamson Street. It was reported that Santa was trapped inside a room succumbed to a chimney fire gone bad. It wasn’t clear which room, however, and a search operation needed to begin. This is just one of the training drills conducted daily-- between actual fire and EMS calls-- aimed at testing and sharpening crucial lifesaving skills. Under the guidance of Lieutenant David Blocker, the firefighters of Station 3's B shift suited up and prepared to search the basement on a mission to save Santa. To emulate the blinding effects of a real fire, a cloth is stuffed into their mask before they head in. Taking turns to find Santa on their own, Smith, Patrick Kearney, Robert O’Hagan, and Lt. Blocker carefully descend into the scene, checking the stability of each step on their way down the staircase. Due to compromised visibility, firefighters must track their whereabouts by staying close to the wall, noting which direction the hallways and doorways take them. While one hand grazes the wall to guide them through a structure, the other holds an ax that can be used to identify and clear away any obstructions in their path. 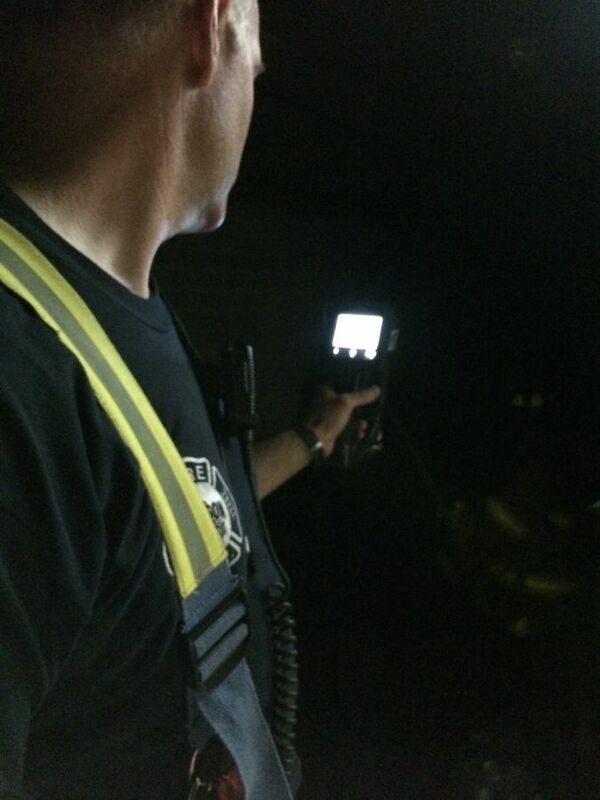 Lt. Blocker stood by with a Thermal Imaging Camera (TIC) to observe their work. The TIC allows him to see firefighters' activities in greater detail, especially as they crawl into the pitch black of the dark basement. When the drills are complete, he'll provide feedback and coaching to help firefighters hone their skills. 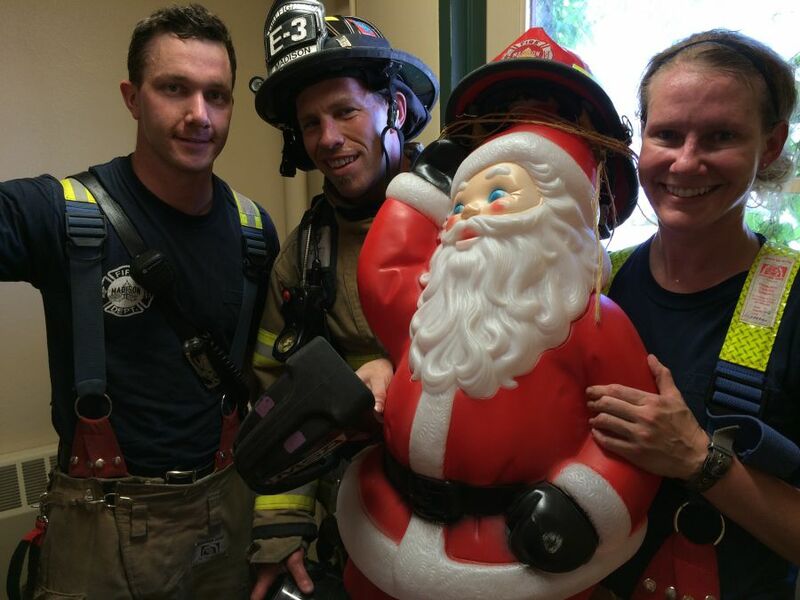 After each search mission, Santa found himself in a different place waiting to be rescued by the next firefighter, oftentimes amid several items in the vicinity. Each obstruction makes the operation that much more difficult for a firefighter. Despite the challenges, everyone on Team 3B was ultimately able to locate Santa. Now, they didn't need to carry Santa to safety. This was just a drill, after all. But going above and beyond is what Madison firefighters do. 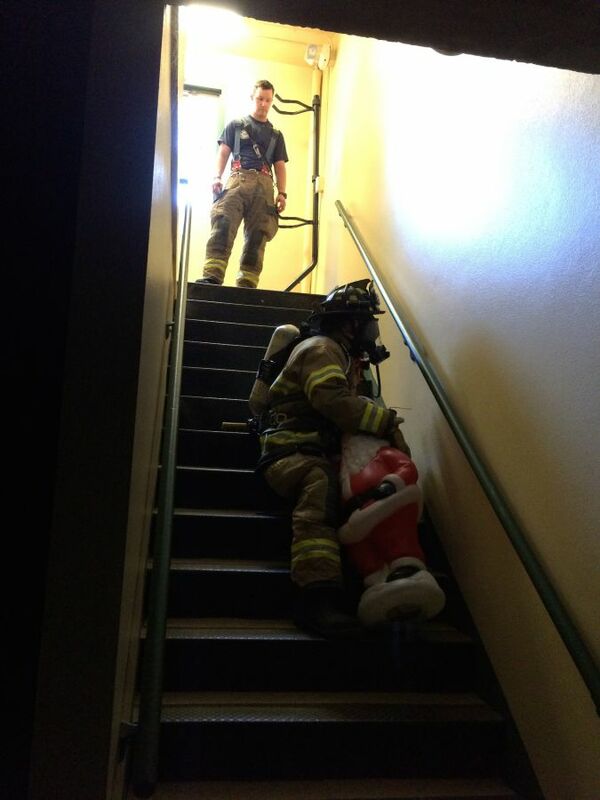 Hoisting Santa up the stairs while wearing approximately 40 pounds of gear and carrying a 10-pound ax is no small task. Luckily, this Santa was just a stand-in -- a jolly lawn decoration holding down the fort while the big guy summers at the North Pole. Because of this daily commitment to continual improvement, our crew is ready to swing into action should the real Santa – or anyone – be in need of help. It's one of the ways we continue to Invest in People Today!